Maine State Police and Buxton police are investigating an overnight shooting on Old Orchard Road in Buxton, with one man in custody and another in critical condition at a Portland hospital. 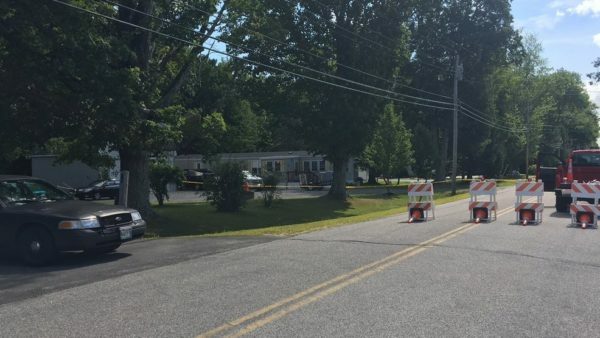 A man is in critical condition and another is being questioned after a shooting early Sunday morning on Old Orchard Road in Buxton. Buxton and Saco police responded to Old Orchard Road around 2:35 a.m. Sunday after a report of shots fired, according to Buxton police Chief Troy Cline. They found a man who suffered life-threatening injuries from a gunshot, and he was taken to Maine Medical Center in Portland. The name of the victim has not been released, nor has the name of the alleged shooter who is being questioned by the Maine State Police, who are investigating the incident, and Buxton police. Old Orchard Road was closed from Narragansett Trail to Town Farm Road as police continued their investigation. Police said there is no threat to the public.